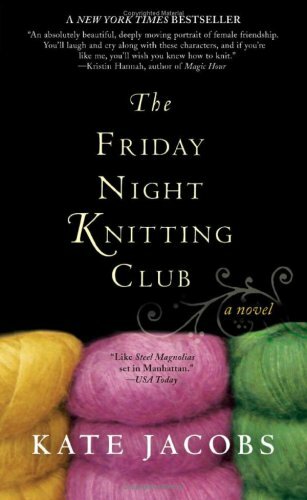 From the back cover: "Juggling the demands of her yarn shop and single-handedly raising a teenage daughter has made Georgia Walker grateful for her Friday Night Knitting Club. Her friends are happy to escape their lives too, even for just a few hours. But when Georgia's ex suddenly reappears, demanding a role in their daughter's life, her whole world is shattered. Luckily, Georgia's friends are there, sharing their own tales of intimacy, heartbreak, and miracle making. And when the unthinkable happens, these women will discover that what they've created isn't just a knitting club: it's a sisterhood." I enjoyed this one. Didn't think I would, but I did. This book is now on its way to savotar as a surprise RABCK. Enjoy! Thank you so much for this surprise RABCK, loveamystery!! Someone else sent me this book a week ago, so now I have two copies. But no worries, I already found a new reader to this book. She will get the book on Saturday. Thank you Savotar for the book and for the dinner company today! A bit too predicatble and "sweet" at times. I did enjoy it, sort of, it just annoyed me a bit that i figured out most of the things well in advance. This would make a fabulous holiday/beach read, so I think this book will travel to Greece with me at the end of August to be wild released there. This book is now in Kir Sotos Pensionat in Skopelos, Greece.